In the News: Full Steam Brewing, Unknown Brewing Company, Great Grapes Wine and Food Festival, Sawtooth’s Arts & Craft Beer Event. 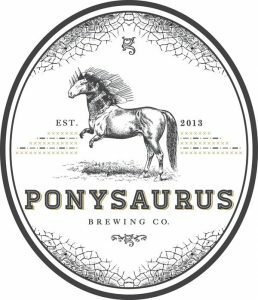 Meet the Maker: Kiel Jansen of Ponysaurus Brewing Company is in the studio to talk about his fantastic brews. We taste four of his beers and discuss the name, the brewery’s history and events. Also, Meghan Parsons of Sawtooth School of Visual Art is in to talk about the Arts & Craft Beer event happening on April 28 (that’s next Friday!). Food for Drinkin’: Chef Tim delivers Korean Bulgogi with Saffron Rice from Spring House Restaurant, Kitchen & Bar.